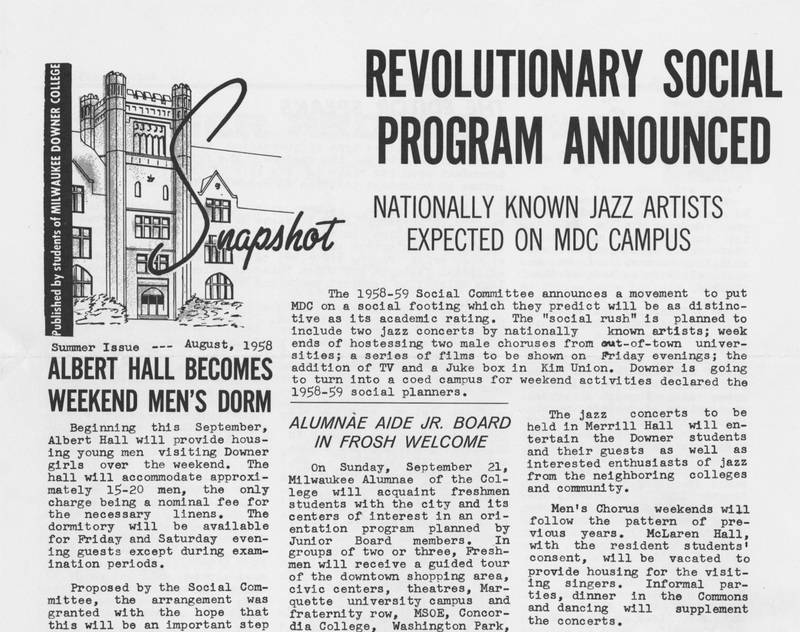 A new set of materials documenting Milwaukee-Downer College is now available to search and browse in our institutional repository: student newspapers dating from 1944 to 1964. During this time, the newspaper was variously titled The Snapshot, Snapshot-Kodak, The Downer Dial, or The Dial. This time period covers the end of World War II, through the 1950s and early 1960s, and up to the consolidation with Lawrence. This is an excellent resource for learning more about student life and campus happenings at Milwaukee-Downer. 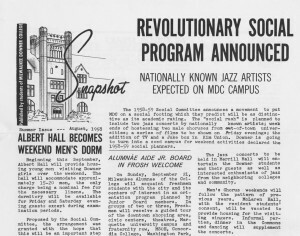 You can read about traditions such as Hat Hunt and holiday celebrations, students’ involvement with national movements such as the war effort and the Civil Rights movement, and reactions to campus news such as the retirement of Lucia Briggs and the consolidation with Lawrence. Huge thanks to volunteer Kasie Janssen ’12 and student assistant Morgan Gray ’15 for their long hours of work on this project!